Original price is £7 but there is currently £2 off making the price £5 but when you take them to the till they are scanning at £3.50 so basically they are half price. Definitely not the 200g box you picked up? As it's the 200g box that is on offer at £3.50. The 337g box as you say, reduced to £5. 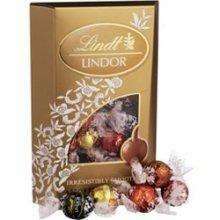 Hot, cheaper than the Lindt outlet.